It’s times like these that you can’t be anything but grateful; grateful for your family, your friends, your life. There’s nothing I can describe what I felt yesterday besides “stuck.” Stuck in North Carolina, unable to help my family. Receiving phone calls from them every so often. Listening to my mom in NYC describe winds like she had never seen; listening to my sister from her apartment downtown with no power; not hearing from my dad for a period of about 4 hours until 11:30 last night when he and my brother had driven 20 minutes from our house on Long Island to tell me he was ok. 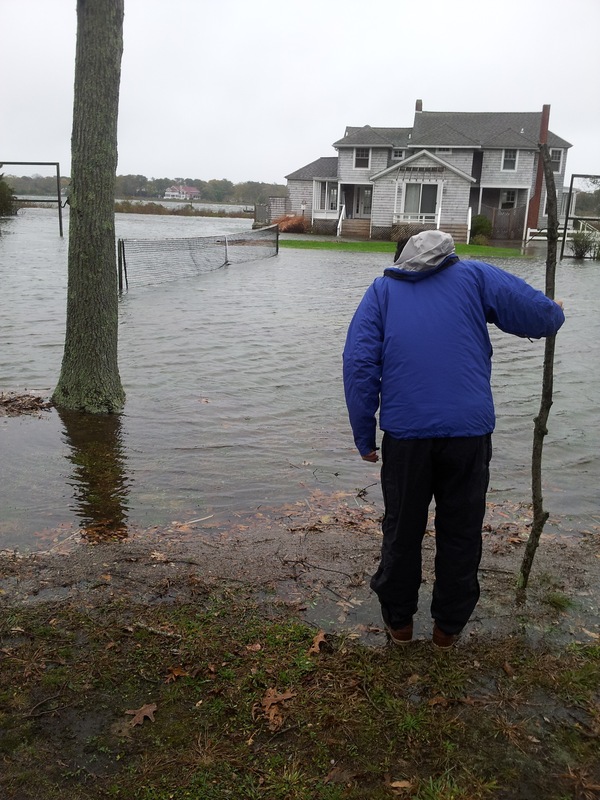 The water was about 100 feet from our house before it started to recede back toward the bay. Grateful doesn’t begin to describe it. But my heart goes out to all of those affected by Sandy even worse. In times like these, I hope all differences can be swept aside to come together and help rebuild.